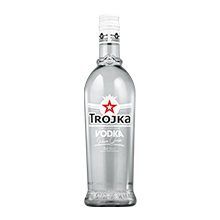 The term “vodka” (derived from the Slavic word “Woda” [water]) stands for clear, pure and clean. The special production of the spirit is decisive for the appearance: grains, potatoes or molasses serve as the basis of vodka, which has an alcohol content of at least 37.5 percent by volume. The origin of the popular spirit has not been clarified to this day. Poland as well as Russia claims the invention of vodka for themselves. Vodka is particularly popular as the base for cocktails as well as mixed drinks. 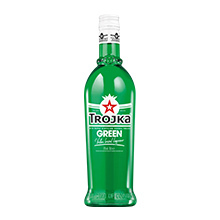 The popular spirit is available in great diversity nowadays. 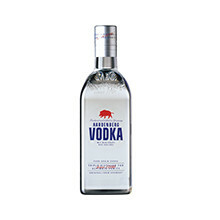 Hardenberg-Wilthen AG also offers a diversified product range of vodka. Hardenberg Vodka is very carefully processed and produced in our own distillery according to an old tradition. Wheat from our own cultivation and also clear, pure mountain water ensure a particularly mild taste. The unique concept “Trojka – The Star of Colours” is also popular at any party. 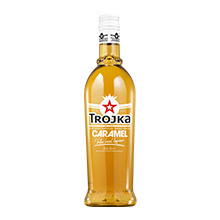 The vodka-based liqueurs are excellently suitable as a shot and are the ideal basis for cocktails or long drinks. Baikal Vodka is refined with the crystal clear water of Lake Baikal, which makes Baikal Vodka unique. The deep waters structure of Lake Baikal and the triple distillation give the Baikal Vodka its extra smoothness and unique mildness. 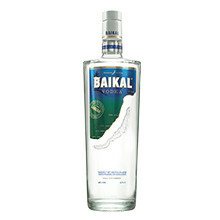 The Baikal water is extracted from 500m depth gives Baikal Vodka its smoothness. The Baikal water is subsequently cooled down until it is frozen. 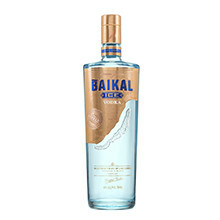 The Baikal Ice Vodka is refined with extracts of Lemon Balm and Green tea.